MAN Diesel & Turbo has reached agreement with TGE Marine Gas Engineering, market leader and specialist in the design and construction of cargo-handling systems for cryogenic gases, regarding their future cooperation. In particular, the agreement centres on MAN Diesel & Turbo’s highly efficient and flexible, medium-speed, dual-fuel engines and the mutual benefits arising from a collaboration with TGE’s gas systems to offer optimum customer solutions for gas-fuelled ships. With the imminent arrival of the strict IMO NOx and SOx emission regulations, gas has great potential as a solution to marine fuel requirements. Another factor is the expected, favourable, future trend in gas prices. Aboard ships, natural gas is stored at very low temperatures in liquid state before delivery in gaseous form to the engine for combustion. The new collaboration targets the technical and commercial adaptation of the sub-systems engine, gas storage & supply plant and control systems. This paves the way for MAN Diesel & Turbo to offer tailor-made solutions that meet customers’ specific requirements, guaranteeing maximum performance and avoiding unnecessary investment. 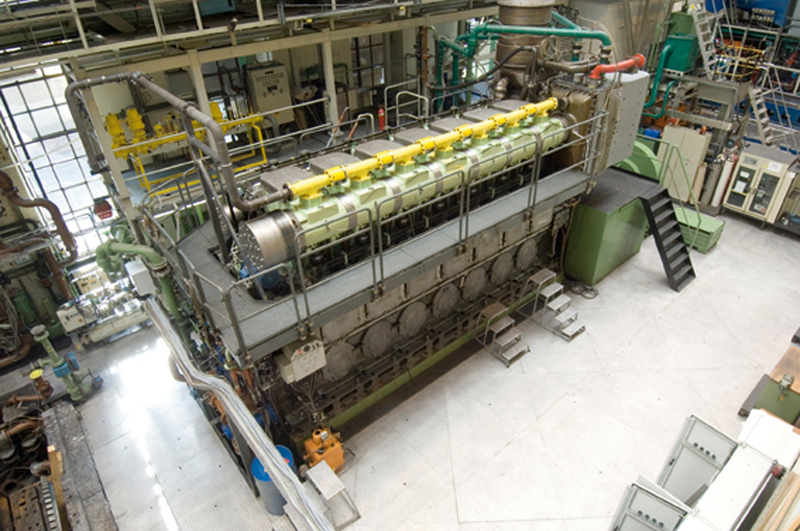 The MAN Diesel & Turbo/TGE Marine Gas Engineering agreement offers many benefits for customers, especially optimum system dynamics through integrated control systems. Another significant advantage of the collaboration is the integrated safety systems it brings. The agreement also caters for the takeover of total responsibility by one contract partner, if desired. Overall, the agreement aims to realise economically friendly and competitive propulsion systems, developed by technology leaders within DF-engine and gas-storage and supply systems. TGE Marine Gas Engineering has 30 years’ experience in the engineering and production of cargo-handling and tank systems for LNG, LPG, Ethylene and other gas carriers, as well as FPSOs (Floating Production Storage and Offloading units). To date, the company has manufactured over 160 tank systems.